Proteins are complex molecules that are made up of amino acids. They can be found in every cell in the body, and carry out vital processes that keep human beings alive. Mutations in proteins can lead to a multitude of diseases, the most common being cancer. What to Look for in a Protein Powder? 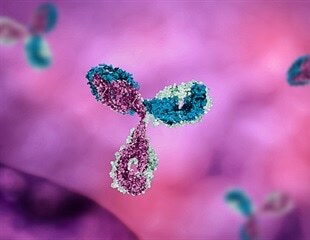 A research group led by Professor Yasuko Mori (Division of Clinical Virology, Center for Infectious Diseases, Kobe University) have succeeded in humanization of mouse antibodies that can neutralize the infection caused by human herpesvirus 6B. Covalently closed circular RNAs are produced by precursor mRNA back-splicing the exons of thousands of genes in eukaryotes. Mutations in a gene involved in brain development have led to the discovery of two new neurodevelopmental diseases by an international team led by researchers at McGill University and CHU Sainte-Justine Research Center. Many biomolecules come in two versions that are each other's mirror image, like a left and a right hand. Cells generally use the left-hand version of amino acids to produce proteins, and uptake mechanisms were thought to share this preference. Scientists have found a potential new drug for treating the heart damage caused by a heart attack by targeting the way the heart reacts to stress. Six factors were associated with invasive recurrence of breast cancer after a diagnosis of ductal carcinoma in situ (DCIS), according to data from a meta-analysis. UT Southwestern researchers have determined how circulating "bad cholesterol" enters artery walls to cause the plaque that narrows the blood vessels and leads to heart attacks and strokes. A new chemical synthesis strategy to harvest the rich information found in natural products -- organic compounds isolated from natural sources -- has led to the identification of novel, simpler derivatives with potential to selectively protect neurons, important for neurodegenerative diseases like Alzheimer's disease, or to prevent the immune system from rejecting organ transplants, according to a Baylor University-led study.